Presenting Junior (20/1) is 5lb out of the handicap proper and remains 13lb higher in the weights than when winning over 2 miles 4½ furlongs at Ayr last April, but has been brought along steadily this season and could be approaching his peak. 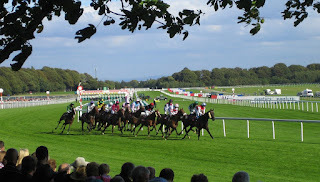 The Presenting gelding has yet to win on heavy going, but was far from disgraced when third of six, beaten 8½ lengths, behind Presented over an extended 3 miles under the prevailing conditions at Ayr three weeks ago. That was his first start over fences since June andm with Graham Watters taking off a useful 3lb, he could be a shade over priced. The other one that makes some appeal is Algernon Pazham (14/1), trained by Nigel Twiston-Davies and the choice of son Sam. The Milan gelding has failed to complete the course on his last two starts, in the Becher Chase over the National fences at Aintree and the Betfred Classic Chase at Warwick last Saturday, but had previously finished a promising second, beaten just a neck, behind What A Good Night over 3 miles at Ayr. He remains 7lb higher in the weights, but won over 3 miles 1 furlong on soft going over hurdles, so is another who could represent a shade of value at the odds on offer. Certainly, he’s one of the younger horses in the race and hasn’t done that much racing for a 7-year-old. It's not long now until we have the Cheltenham Festival and Grand National to sink our teeth into. We'll be sure to try our best to find some big priced selections at that time to swell your coffers! Looking at the odds of recent National winners for instance (2012 - Neptune Collonges 33-1 , 2013 - Auroras Encore 66-1, 2014 - Pineau De Re 25-1, 2015- Many Clouds 25-1) there are certainly opportunities to be had.